After my Sunday night's durian party at Amber, I flew to Penang with my hubby the following morning to look for black thorn durians for a VIP. Around 4 pm, our good friend, food and travel blogger Criz who also recommended the guesthouse to us, came to bring us to buy durians. The black thorn durian was not good that day, so we didn't have it. 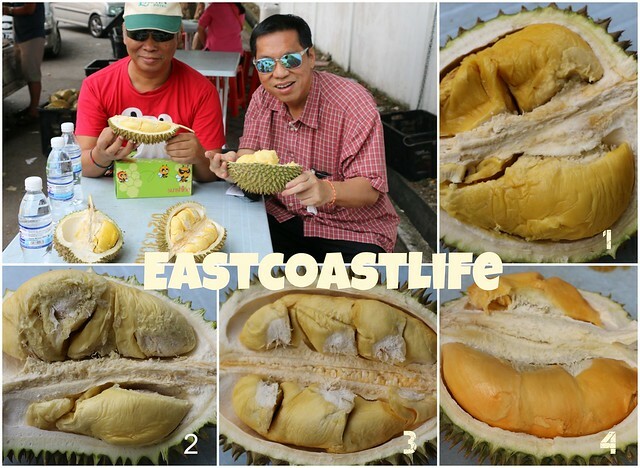 We sat by the roadside eating Durian Kang, 604 and Musang King durians. I love bitter durians, so I enjoyed the Durian Kang and 604. We paid RM100 for these 3 durians. Criz bought a red prawn durian for his dad, so we stopped by his father's house for a while before going to a traditional cake shop to purchase some snacks to bring back to Singapore. 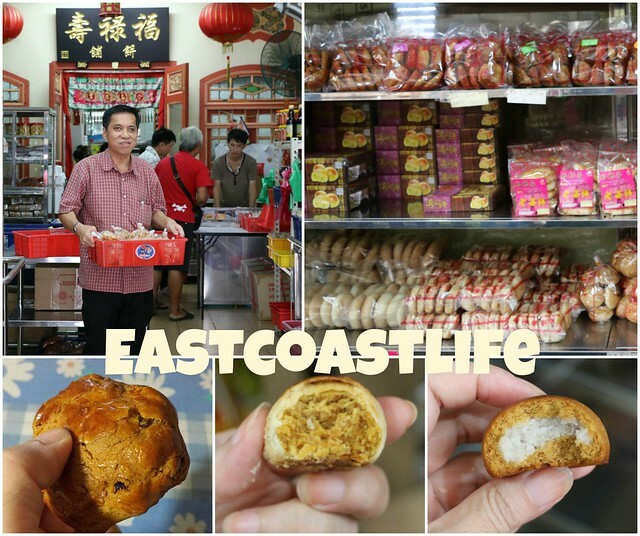 We were offered a spicy prawn Tambun biscuit and their special coconut filled mooncake. Criz recommended a cranberry raisin biscuit which I cannot stop eating. I bought a few packets home to gift away and has only a few pieces of the biscuits left now. Criz brought us and his god brother to his favourite place for dinner. 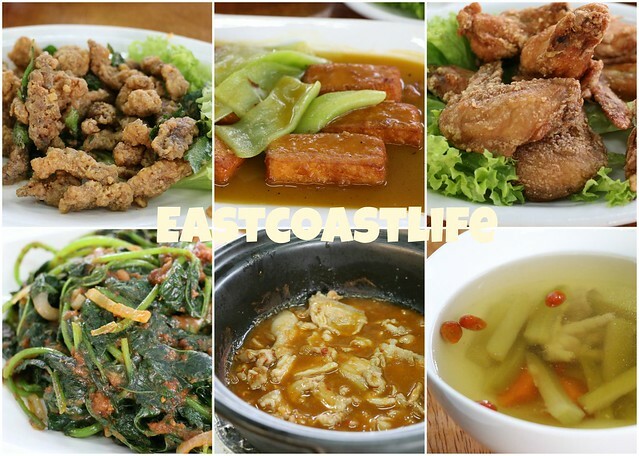 Of the dishes he ordered, we love the salted egg mantis, pumpkin tofu, fried belacan chicken and the bittergourd soup which was on the house. We paid for the dinner, initially hubby and I couldn't believe the amount charged. Slightly more than S$20 for all those dishes! After our meal, Criz sent us back and suggested after dinner coffee at a coffee shop near our guesthouse. 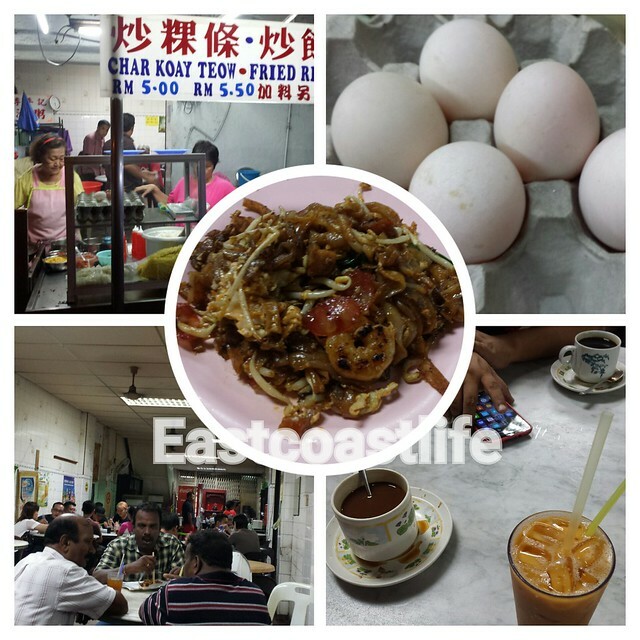 Hubby was drooling at the aromatic duck egg char kway teow (fried noodles), so we ended up ordering a plate to share. No regrets. It was delicious. The next two days, hubby was missing it very much but we didn't have a chance to go back for it. 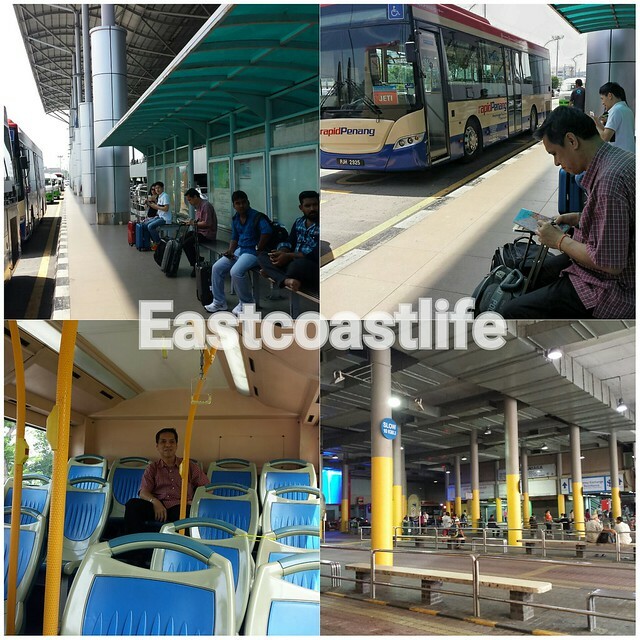 帮一位重要人物买“黑刺”榴莲, 亲身飞到马来西亚的槟城品尝特种榴莲。不仅出动了槟城的朋友们找“黑刺”榴莲, 有几位朋友还陪着我们到处去找。三天内我们也狂吃榴莲, 因为要试好几种榴莲, 是苦差。 太疯狂了!